Google has figured out a way to deliver more instant answers in search results and boost music sales on Google Play simultaneously: song lyrics. Following Bing's lead from October, Google is now surfacing lyrics for a limited number of songs when you search for "[song title] lyrics." 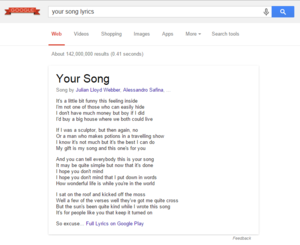 Unlike Bing, however, you won't see the full list of song lyrics in your search results. To see the complete lyrics you have to click a link to Google Play. There you'll also have options to buy the track or subscribe to Google Play's All Access subscription service. If Bing's song lyrics roll out convinced you to switch to Microsoft's search engine, however, don't bother switching back. 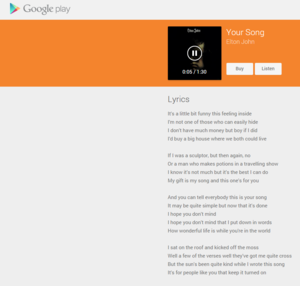 Google's song lyric catalog is extremely limited compared to its competitor. In fact, the new feature seems like more of a ploy to push people to Google Play than a truly helpful search function. The story behind the story: When Bing rolled out song lyrics a few months ago, it was bad for song lyric web sites, but not terrible. On its own, Bing isn't likely to drive tons of these sites out of business, and sites like Rap Genius that add more value to lyrics through annotations probably didn't have much to worry about. The presence of Google in the lyrics game is a much larger threat, but that threat won't surface for some time. 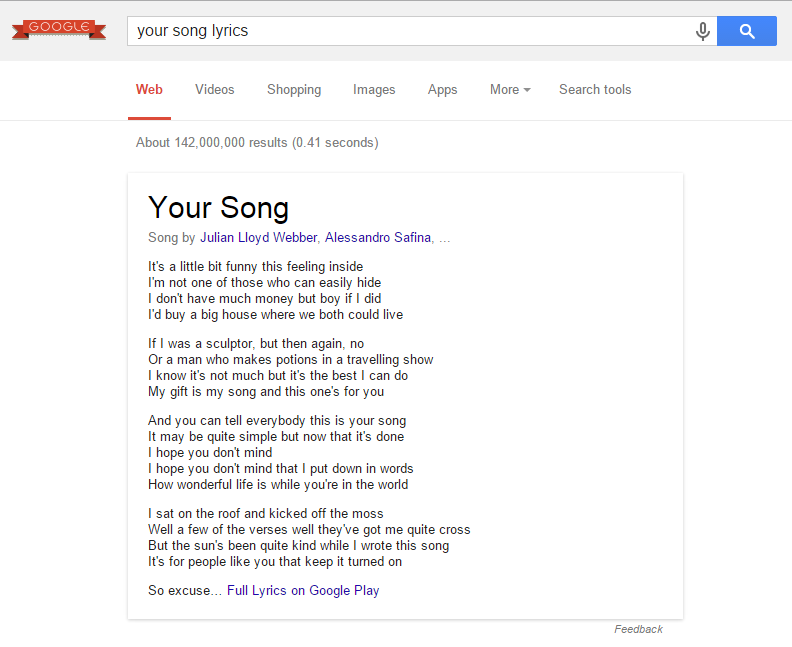 Google simply isn't providing enough song lyrics yet to be of any interest to lyric seekers. When we looked at Bing's lyric catalog in October we noticed that older songs were relatively easy to find, but more current hits were hit or miss. Google's song lyrics, by comparison, are a miss more often than not. Google's song lyrics on Google Play. Grabbing a few random hits from the Billboard Top 10 we weren't able to find any lyrics on Google. We also had trouble with classics from bands like The Rolling Stones and The Beatles. The songs we did find included Your Song by Elton John, Fast Car by Tracy Chapman, Stairway to Heaven by Led Zeppelin, and Boom! 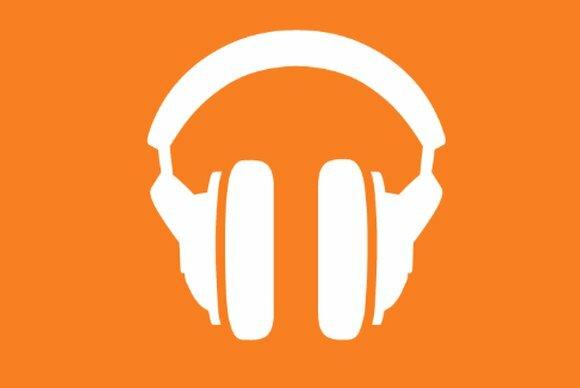 Shake the Room by DJ Jazzy Jeff and The Fresh Prince. That's a random collection of songs to the say the least. We didn't get anything for songs like Bad Romance by Lady Gaga, Shake It Off by Taylor Swift, or Roar by Katy Perry. Now that Google has started down the path to providing song lyrics it's likely the company's catalog will improve over time. For the time being, however, if you're looking for song lyrics you'll have better luck with Bing's instant results than Google's—Microsoft's search engine offers lyrics for far more songs, and those lyrics are in full. You can also find lyrics to pretty much every song ever created on any number of third-party sites.